Do you want to move to a gated golf course community and put $50,000 in your pocket at the same time? If so, look no further than the Glen at Golden Eagle. 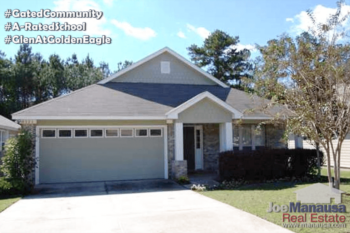 This popular NE Tallahassee neighborhood contained within the gates of Golden Eagle Plantation has homes for sale at prices roughly $50K less than what we saw during the peak of the housing market. Considering interest rates are lower now too, it's a great time to pull the trigger if you have been considering a move. These homes began construction in 1997 and continued through 2006, as the neighborhood sold out quickly at the end of the rapid expansion of the Tallahassee housing market. Just as you will find among the thousands of zero-lot line neighborhoods winding around and near golf courses throughout warm and sunny Florida, homes in the Glen sustain their popularity to those interested in being very near a golf course while living the country club lifestyle. In this report, we will look at average home price trends, home value trends, and home size trends in the Glen At Golden Eagle. 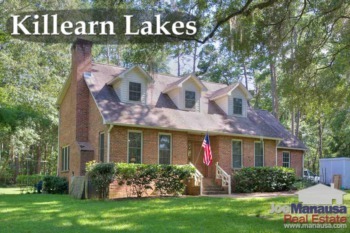 Additionally, all current listings are shown from the Tallahassee MLS and all closed home sales going back to the first one sold in 1997. It is important to note that the narrative contained below is for sales through years' end for all previous years, but through the second week of December in 2015. The graphs and the closed sales table will be continuously updated into the future (meaning bookmark this page if you always want to know the current status of homes in the Glen at Golden Eagle). Average home prices in the Glen at Golden Eagle have reached a 7 year high. It is a sign of the neighborhood stabilizing and moving back towards "normalcy." Thus far in 2015, the average recorded sales price has been $184,076 in the Glen at Golden Eagle, which still means that homebuyers are saving about $50,000 when compared to opportunities here during the market 10 years ago. Home sales activity has been very good this year, as the seventeen homes sold through the writing of this report represents the second best year since 2006. With the bulk of all homes sold occurring during 2003 through 2006, at values near those of today, the threat of pent-up supply developing is being reduced as each upward tick in values is recorded. Average home values in the Glen At Golden Eagle are up nearly 3% thus far in 2015, meaning home values are now 12% higher than those reported at the market low in 2012. Through the second week of December, the Glen At Golden Eagle average home values have been $118 per square foot. Unfortunately (for homeowners), this means that home home values remain 19% lower than those recorded at the peak of the market in 2006. Those homeowners who have purchased or refinanced in the past 8 years are likely at zero or negative equity situations and thus are not likely able to move (if they want or need to). The average home size sold in the Glen At Golden Eagle typically falls in a range of 1,400 to 1,650 square feet, and the seventeen homes sold this year have been near the middle of this range. The 17 sales thus far in 2015 have averaged 1,559 square feet. The following list of homes shows all active listings right now in the Glen At Golden Eagle. I hope you enjoyed our December 2015 update on home sales in the Glen At Golden Eagle, please feel free to drop me a note if you have questions not covered in this report. Should You List Your Home For Sale During The Holidays?